30 Inch Width x 5.75 Inch Boxwood Topiary Ball - Natural Wood Trunk. 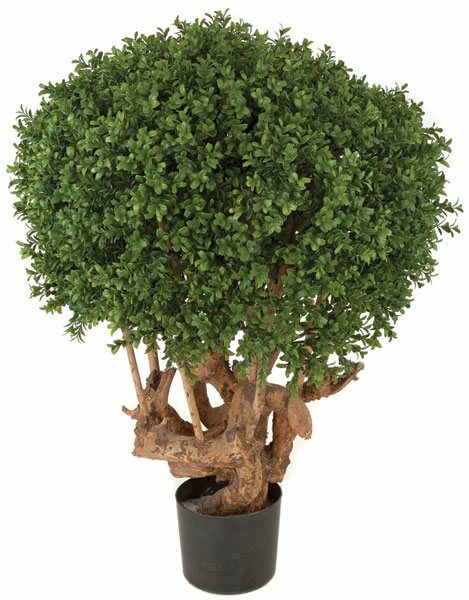 This Topiary is stylish for your Living Room or Office area . Plastic base contianer included. Adding a decorative base container to match your decor would be a nice addition for an beautiful display.